Give some thought to what it would be like to be a part of a generous church, led by a generous staff, overflowing with generous people. While generous people can be described in many ways, I will limit their attributes to this statement: A generous person exudes an overall positive disposition, lives with sensitivity to what is going on around them, and is ready to respond to needs. If we embrace this partial description, a generous staff will exhibit a positive vision, provide a process that develops generosity, and live generously. Below are two obstacles related to leading a generous staff as well as opportunities and practices for overcoming them. Obstacle #1: An unhealthy culture and unhealthy conversations about money. Money is intended to be a wonderful gift to us. However, it is also one of the biggest life stresses. Church staff members are not immune to this life stress, and they bring it into their work practices. A generous financial plan (i.e. Church Budget) prioritizes the church goals for the year, allows flexibility year to year, and provides margin for preparing for the future and managing surprises. The financial plan should be focused in a positive direction, sensitive to the ebbs and flows of a year, and ready to respond to a great opportunity. Many staff dread the budget process and experience demotivation when it comes to church money. Generous people will not result from a non-generous staff. Opportunity: Ask each staff member to record the last three conversations or statements they had or heard around the office related to church money or budget. Would these statements be considered more or less indicative of a positive generous culture? Obstacle #2: Lack of a discipleship pathway that aims to grow generosity in the life of a believer. Growing the attribute of generosity is not the same as preaching on tithing or conducting a capital campaign. Nor is it limited to a money management course. Generosity is not limited to the wealthy or those who are older or even those who are debt free. The generous life is possible every day by everyone regardless of age, financial position, or life stage. Now, if your staff leadership have not embraced this lifestyle as individuals or as a team, what likelihood is there that a member of your church will overflow with generosity? If staff members are poor money managers at home, don’t possess an inspiring stewardship testimony, and do not have the basic teachings of Scripture related to money at the ready, how will the church ever become generous? Opportunity: Ask each staff member to name a Bible promise related to money or generosity (it cannot be a reference to tithing). Then ask each staff member to name a great hero in the Bible related to giving. Together as a team, create a theology of generosity that your team will live personally and utilize together to create a new generosity culture. Highlight biblical support with both principles and heroes. Include applications for all ages and financial positions. 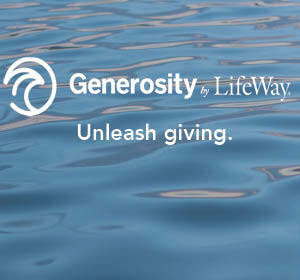 If you are interested in studying generosity with your group or with your church, Generous Life can help you work toward a culture of gospel-centered generosity. This five-week stewardship emphasis, co-created by Auxano and the Groups Ministry team at LifeWay, will help members identify the type of giver they are and the kind of giver God is making them to be. 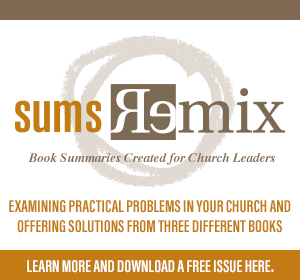 This resource includes five weeks of message outlines, study guides for adults, kids, and preschool, family devotionals, and an optional media kit. Want to know more about developing a generous church? Connect with an Auxano Navigator.